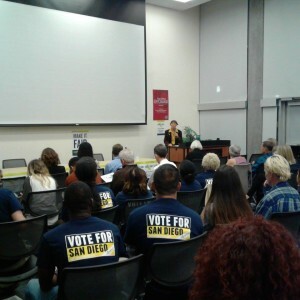 Last week 125 community members and students came together at San Diego City College. They joined community leaders and educators to talk about how we can use the power the community has built to close the commercial property tax loophole in Prop 13. Speaking at last night’s event were Andrea Guerrero, Executive Director of Alliance San Diego; Kisha Borden, Vice President of San Diego Education Association; Ismahan Abdullahi, Director of Community Partnerships and Civic Engagement at Partnership for the Advancement of New Americans; Richard Barrera, San Diego School Board Member; Professor Isaac Martin, University of San Diego; Professor Jim Miller, San Diego City College; and Professor Kelly Mayhew, San Diego City College. Guests answered questions and provided more context about how over $804 million a year for education and services could transform San Diego County. The town hall was hosted by ACCE, Alliance San Diego, California Calls, CFT, CTA, League of Women Voters, PANA, Pillars of the Community, PICO California and San Diego Education Association. Make it Fair will host the last community town hall for 2017 in Bakersfield on November 9th. 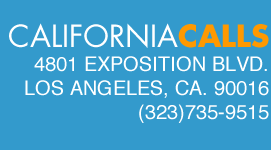 Last weekend 350 community members from across LA came together at Los Angeles Trade Tech College. They joined community leaders and local elected officials to talk about how we can use the power the community has built to close the commercial property tax loophole in Prop 13. Speaking at last weekend’s event were State Sen. Holly Mitchell; Torie Osborn, Office of Supervisor Sheila Kuehl, Principal Deputy for Policy and Strategy; John Kim, Executive Director, Advancement Project; Clarissa Woo Hermosillo, ACLU of Southern California, Director of Economic Justice: Dr. Manuel Pastor, University of Southern California, Professor; Arlene Inouye, UTLA, Union Officer and Bargaining Co-Chair; and Alberto Retana, Community Coalition, President & CEO. Guests answered questions and provided more context about how over $3 billion a year designated locally for education and services could transform Los Angeles County. State Senator Holly Mitchell (SD-30), a champion of the Make It Fair campaign since 2015, told the crowd “This is about making it fair. Corporations use our public infrastructure just like you and I. So, why shouldn’t they pay to help fix our streets?” and called the Make it Fair proposal an opportunity to correct a wrong. The community college campus provided the perfect background to discuss the impact of $2.9 billion for education and services in Los Angeles. When Prop 13 passed Community Colleges in California were free, but now LATTC President Larry Frank pointed out after decades of increasing tuitions and housing cost a staggering 65% of Los Angeles’s community college students can’t afford balanced meals. Up next, Make it Fair will host community town halls in Chula Vista on October 18, San Diego on November 1, and Bakersfield on November 9. Last Saturday nearly 200 community members packed into a small San Bernardino church to talk about closing the commercial property tax loophole in Prop 13 and raising $288 million a year for education and local services. 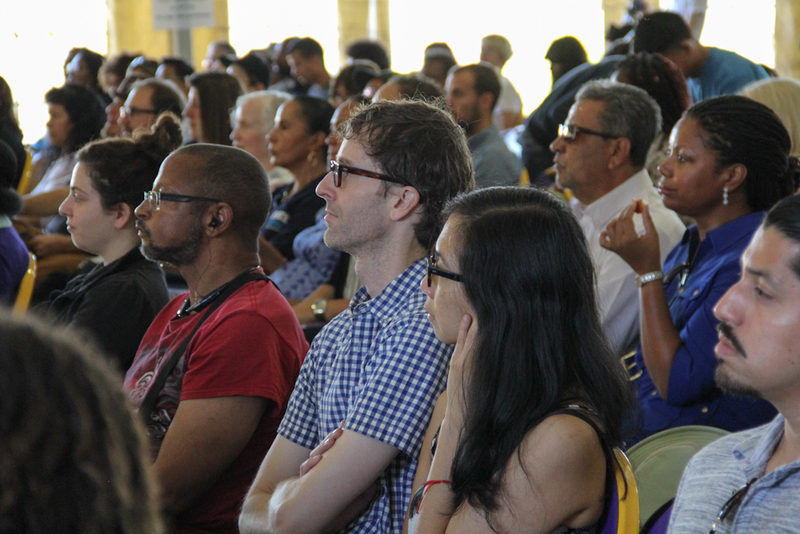 The Town Hall – opened with a spoken word performance by local high school sophomore Sakinah Storks – focused heavily on the impacts of decades of disinvestment in San Bernardino and the grassroots power needed to reverse the damage. Local elected officials and community leaders State Senator Connie Leyva, San Bernardino City Unified Board Member Abigail Medina, and Riverside Community College Board Member Bill Hedrick, Associate Director of Congregations Organized for Prophetic Engagement Pastor Benjamin Briggs, and California Calls Policy and Campaign Development Director Veronica Carrizales spoke passionately about why San Bernardino can’t afford to continue to let big corporations and the wealthy get away with not paying their fair share. Community leader and Executive Director of COPE, Rev. Samuel Casey called on several elected officials and their representatives to stand up and commit to meet with COPE and the Make it Fair campaign about the proposal. San Bernardino City Unified School Board Members Gwendolyn Rogers and Abigail Media, staffer for San Bernardino County Board Supervisor Josie Gonzales, Rialto Unified School Board District President Dina Walker, and a staffer for Republican Assembly Member Marc Steinorth all committed to meet with local groups to learn more. The town hall meeting was hosted by Congregations Organized for Prophetic Engagement, California Partnership, SEIU 2015, Evolve, Inland Empire for Our Revolution, San Bernardino County Young Democrats, League of Women Voters -San Bernardino Chapter, Inland Congregations United for Change, ACLU, ACCE, Progressive Alliance of the Inland Empire and California Calls. Chanting “Make It Fair” throughout the event, participants joined the nearly 100,000 people that have signed petitions supporting the Make It Fair Campaign and left the town hall with resources to spread the word in their communities and join future actions including talking with local leaders. Six town halls are scheduled for September and October in communities across the state. RSVP for the next stop for Make it Fair this Saturday, October 7th in Los Angeles from 10am to 12pm.